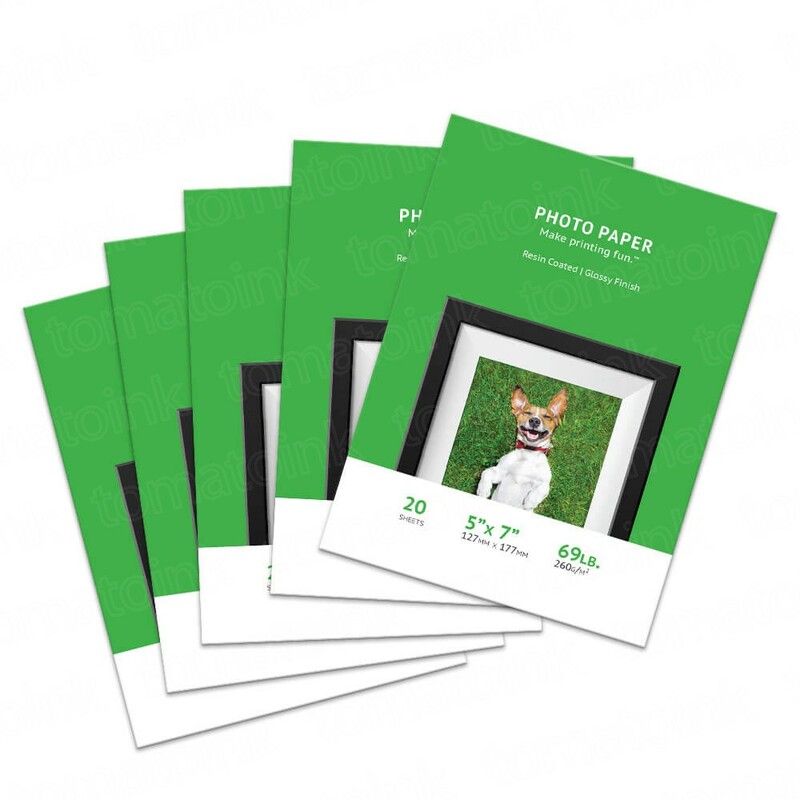 Our Premium Glossy Inkjet Photo Paper (100 sheet pack) measures 5" x 7" and and delivers sharp and reflective professional photo printing. Coated with resin to create water resistant, smudge-proof printing, this shiny glossy photo paper is ideal for humid weather and long-term wear. Weight is 260g (or 69lbs) versus the 200-240g most other photo papers weigh. Special formula lets you print pictures on most photo printers.